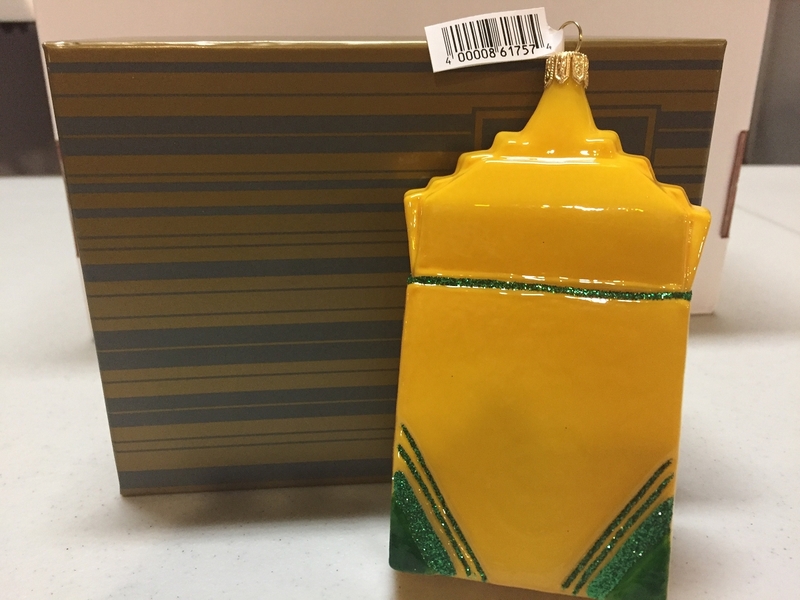 Blown glass ornament depicts an open box of 16 Crayola Crayons. 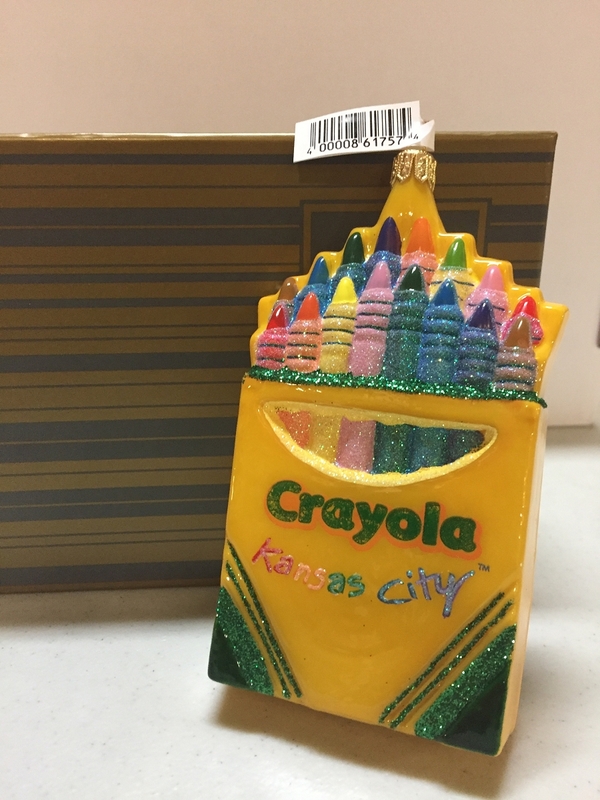 On front of ornament "CRAYOLA Kansas City"
I love this box of crayons. Number 1, it's glass, it's glitzy, it's Kansas City exclusive, & it's crayola. What's not to like?